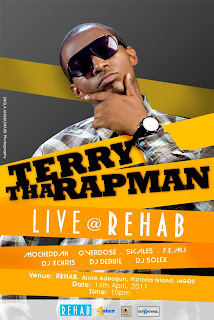 TERRY THA RAPMAN TAKES HIS BANS TOUR TO REHAB! 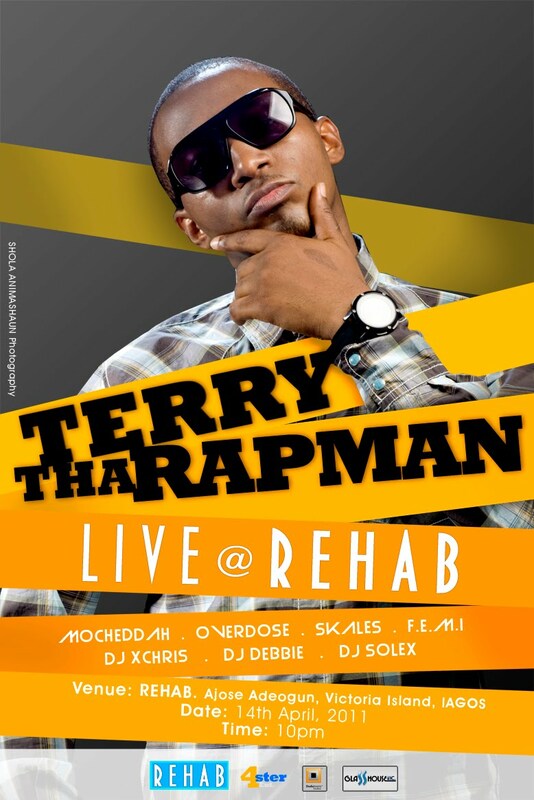 After a scintillating kick-off to his BANS (Boyz Are Not Smilin') Club Tour at Scintilla Nite-club on the 2nd of April, Terry Tha Rapman's next stop will be at the Rehab Nite-Club in Victoria Island. 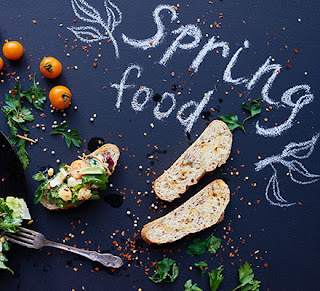 The event is scheduled to take place on Thursday, 14th of April, 2011 at 10pm. Other artistes scheduled to perform alongside Terry Tha Rapman are Knight House's franchise celebrity artiste, Mo' Cheddah, X3M Music's top MC, Overdose, EME's best kept secret, Skales, and Kennis Music's hottest artiste F.E.M.I. On the decks will be the BANS official DJ, DJ X-Chris. Supporting DJs include DJ Debbie and DJ Solex. BANS T-Shirts will be available for sale at the club premises. This year, this year...boyz are not smiling! This event is powered by Megaphunk Records, Glass House Inc. Dudu Toonz and Rehab Nite Club.